Does Borla 14464 fit your vehicle? 14464 is rated 5.0 out of 5 by 1. 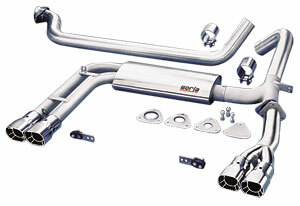 Rated 5 out of 5 by 1994Z28 from Great experience I bought this Borla cat-back exhaust for my Camaro and very happy with it. Great price, quick shipment and relatively easy installation with this product. Thanks Jegs.